Microsoft is pushing Edge as a standards compliant browser, and they have quite a bit of work to do in this regard since Internet Explorer, even at the latest version 11, did not support a lot of the standards that were upcoming. This is always a moving target, and in the past browser upgrades were slow to happen if they happened at all. IE seemed stuck out of sync with the rest of the browsers. The company seems to want to avoid that going forward, and one of the ways this will happen is that Edge can now be updated through the Windows Store, which should allow them to quickly and easily roll out updates and fixes. One thing they want to avoid if possible is vendor prefixes for experimental APIs. They will still have to support some, since they are in use on many pages, but going forward they want to eliminate any new MS prefixes if they can, and instead will be offering experimental API support through feature flags. 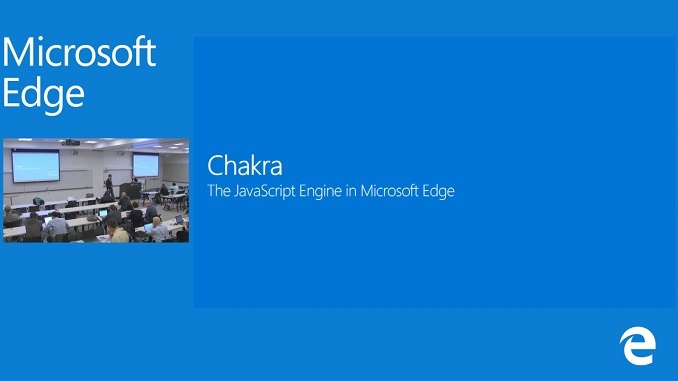 Chakra is the browser’s scripting engine, and it is getting a lot of updates as well. One of the most requested is the addition of Asm.js to the browser. Asm.js is a sublanguage which allows sandboxed execution of memory-unsafe languages. Toolchains are available to convert C/C++ code into Asm.js, and technologies which leverage this are things like WebGL and gaming engines like Unity and Unreal. 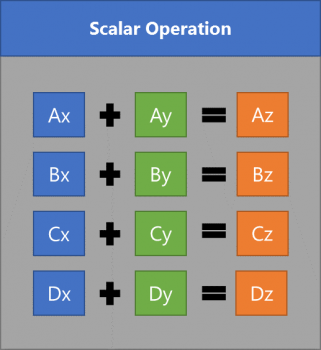 These new features will also bring Single Instruction Multiple Data (SIMD) support to Chakra, and Microsoft got assistance with this work from Intel, so it will likely leverage Intel’s SSE extensions. Using the SIMD Mandebrot demo, Edge with SIMD support performs 200-300% faster than Edge without the support enabled, so there is a lot of performance potential here. Intel has also helped reduce navigation time and has helped reduce DOM parse times. 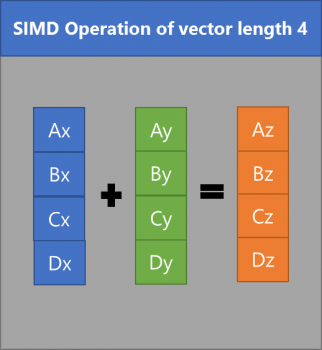 SIMD support is something that Intel is also bringing to other browsers, but the main point is that Edge will have it as well, which should promote the use of these kinds of features on the web as a whole. A new feature that is currently unique to Edge is the ability to support Multi-Channel audio through Dolby Audio. Edge will support Dolby Digital Plus and is supported with current DASH (MP4) and HLS (M2TS) file formats. This means that there will be support for both progressive download content and adaptive streaming content. Dolby has a Dolby Audio Experience demo which leverages WebGL if you want to try this out for yourself. These are just some of the changes coming to Edge. After years of trailing the browser pack, it certainly seems like Microsoft has stepped up their game. Performance is much better in Edge than their outgoing browser, and it is picking up standards support much earlier. Edge already supports 81% of the ECMAscript 2015 features, which leads all other desktop browsers for the moment. HTML 5 standards support is also much improved. Browsers are one of the most important tools we have on any device, and it looks like Windows 10 is going to bring its best forward. I can't say I love the icon, but that can always be changed. Removing ActiveX, VBScript, and Browser Helper Objects, wow. (Clapping). There are malware writers over the world shaking their fists at Microsoft and wondering how much money they're going to lose over this. A company making a feature version specific to promote upgrade? How utterly abhorrent. @hughlle, I'm not sure if that was sarcasm or you were being serious but when you have reasons directly tied to technology then it's absolutely understandable that some thing are limited to specific versions of OSes. Also this might be a core component of the OS. Supporting it on other platforms may not be feasible. How far back should software be supported in order for it to not be considered bad practice? And which features MUST be back-ported every time for this purpose? This isn't an updated IE it's a completely new piece of software, there's no reason to expect it to be available on OSes that are 5-6 years old.